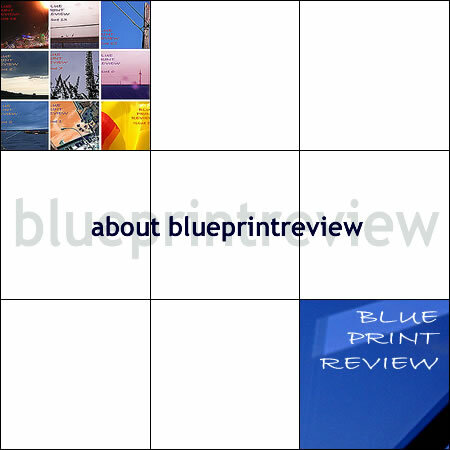 The first issue of BluePrintReview went live in May 2005. Since the beginning, BluePrintReview explores unexpected connections between texts and images from unrelated places. The first issues mainly feature poetry, flash fiction, and photography. With a growing number issues, BluePrintReview developed a broader spectrum of formats that includes non-fiction, art, short stories, and formats that don't fit precise categories. Edited by German author, traveller and web freelancer Dorothee Lang, BluePrintReview published 29 issues so far, with #30 now in process. Stories first published in BluePrintReview have been included in the "best of the net online" anthology by Sundress Publications, in the Dzanc Books "Best of the Web" anthology, and in the storySouth Million Writers Top10 list. language&place blog carnival, a collaborate cyber journey with changing hosts that features international perspectives on language and place. More on both projects, and other spin-offs, like for example the blueprint blog roll, below. 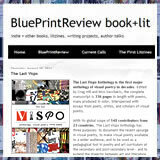 & there also is a wikipedia-entry on blueprintreview (which needs some updating).